There are a lot of things that you can do in your golden years, but the best thing you can do for yourself is to have an active retirement. Seniors who stay active after retiring are healthier and better able to enjoy their well-earned free time. 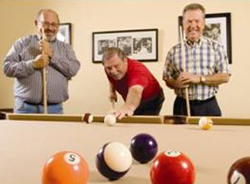 Many Florida retirement communities offer options for those wishing to remain active. Vienna Square is one such community, with plenty of options and activities for those who do not plan to slow down just because they have retired. There are many reasons to move to a retirement community. At a place like Vienna Square, you can remain active with all the benefits of having your own retirement community home without all the worries. Vienna Square offers single-story homes and maintenance-free villas so that you can enjoy your home without having to worry about every detail. There is also a convenient clubhouse with great offerings to help you stay active. From scheduled activities to available amenities including a fitness room, a pool, and a ballroom, retirement communities like Vienna Square provide options to help you stay active. There are lots of great ways to stay active as a senior. The easiest way is to keep doing your favorite hobbies! If a round of golf is what you have always enjoyed, there is no reason to stop! For the swimmer, the pool at Vienna Square is heated, so you can take your daily swim throughout the year. 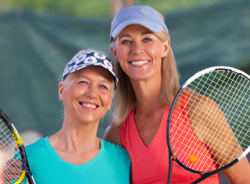 If you prefer to exercise with company, consider a game of tennis, dancing, or enjoying one of the many group activities offered at the Clubhouse. Did you know that going to theme parks can add up to a significant amount of exercise? It’s easy to walk several thousand steps at a theme park without even noticing, and you get to enjoy the attractions on top of it! 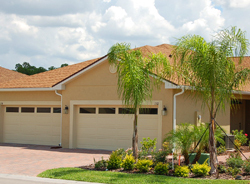 Naturally, Vienna Square is conveniently located to a number of Central Florida’s best theme parks. For those who prefer to spend time in a gym to get their exercise, the fitness center at Vienna Square has what you need. There is even a whirlpool spa for you to enjoy after your workout! 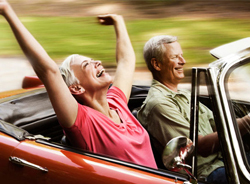 The important thing is that you have the tools that you need to maintain an active retirement. Staying active and fit helps you maintain your health and get more out of your retirement. Vienna Square offers plenty of activity options both within the community and nearby. With so many amenities on site and all the local options, it is nearly impossible not to have an active retirement when you live at Vienna Square!